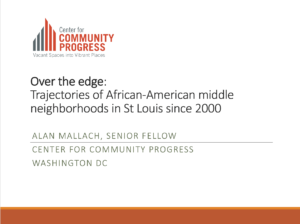 If you couldn’t join the Middle Neighborhoods Community of Practice on Thursday, February 21, 2019 for the webinar on future middle neighborhoods research, you can watch the recording here. 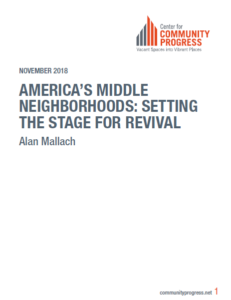 The webinar, now available for download, features a presentation on new research ideas by Alan Mallach, senior fellow at the Center for Community Progress, who has been leading the middle neighborhoods research agenda with the Lincoln Institute of Land Policy. 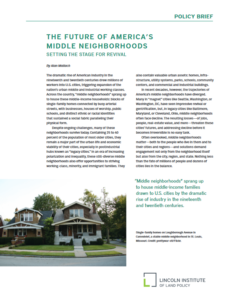 A brief presentation was followed by an open discussion to crowdsource research ideas from participants. 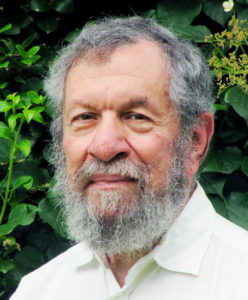 If you have any questions, and if you would like information on how to participate in the future, please contact Stephanie Sung at ss4336@columbia.edu. 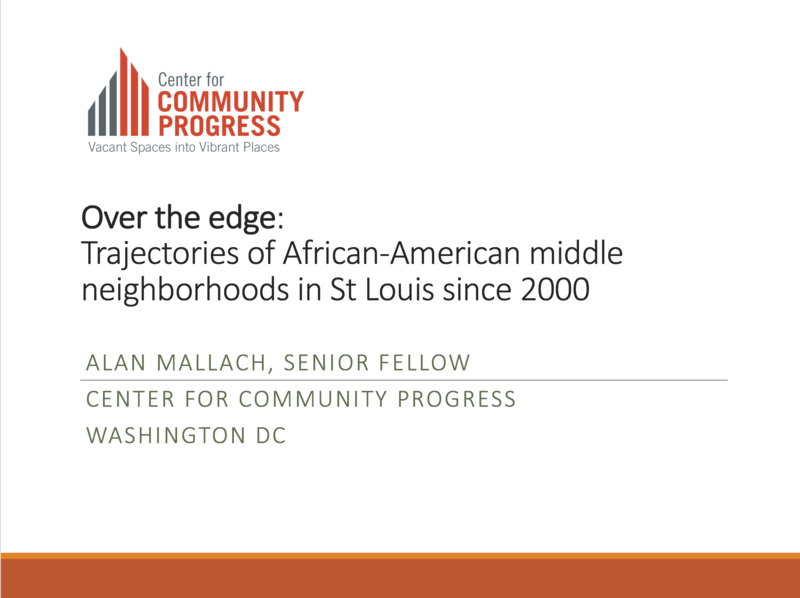 Below are Alan Mallach’s past middle neighborhoods research publications and a presentation delivered at the 2018 convening in Cleveland.